Today will start a three day look at attractions that are in the Tomorrowland film. It’s a look at some attractions that are still around to some extent, but we’re looking at their histories. All of this will lead up to the opening of the film. So, enjoy the first installment! 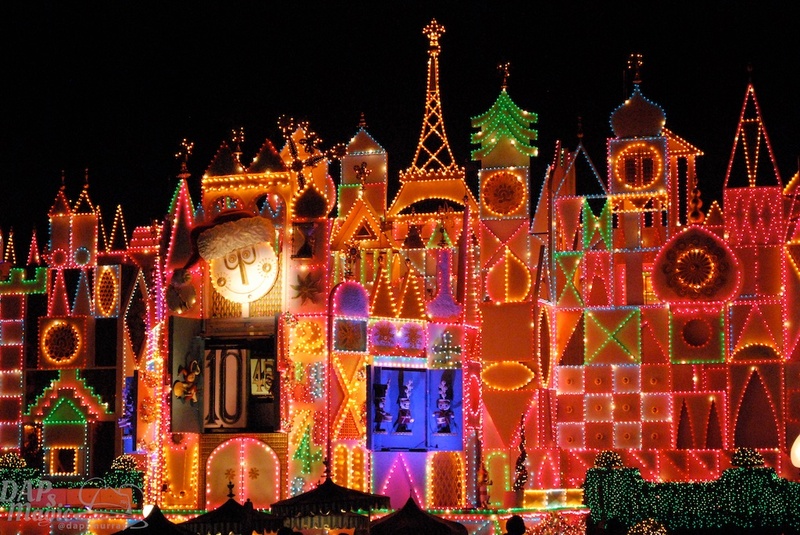 it’s a small world has been a beloved attraction for about 50 years. This timeless journey through several countries didn’t begin in Disneyland, but at the 1964-65 World’s Fair. 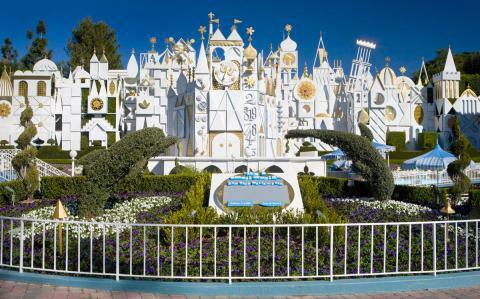 it’s a small world began as a project for a Pepsi sponsored Unicef pavilion at the 64-65 World’s Fair in New York. Walt Disney was commissioned for the project. At the World’s Fair just as it ended up being in the park there were boats that took passengers through the canals of the world. Mary Blair was the top artist on the project. Her storybook-like art was most famous in Alice in Wonderland, but had several beloved movies and attraction features for the Disney company. 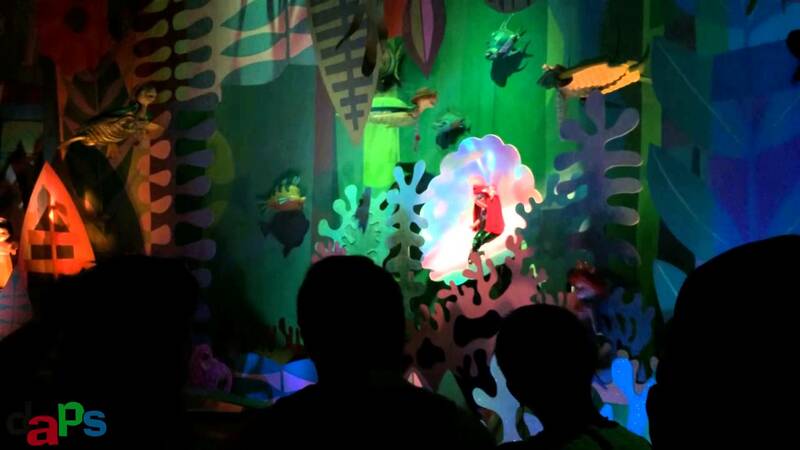 Her artistry as well as color palette were significant to the small world attraction. The Sherman Brothers, Richard and Robert Sherman, were given the task of making a song that could be easy to repeat and could be done in several languages. Originally written like a lullaby, “it’s a small world” was eventually more of a march. 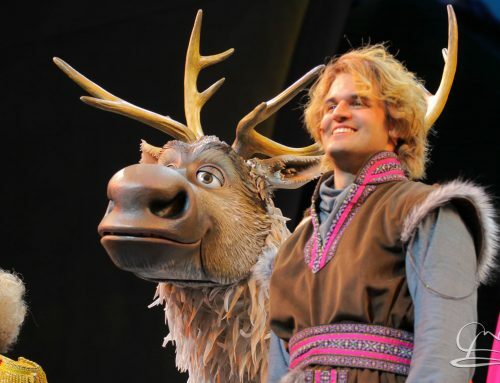 It is also one of the most recognized songs at the parks. Along with the attraction and building, a large sculpture called Tower of the Four Winds was constructed to serve as an entrance to the ride. This sculpture was only seen at the World’s Fair, and a more elaborate entrance with a whimsical facade was constructed for Disneyland. 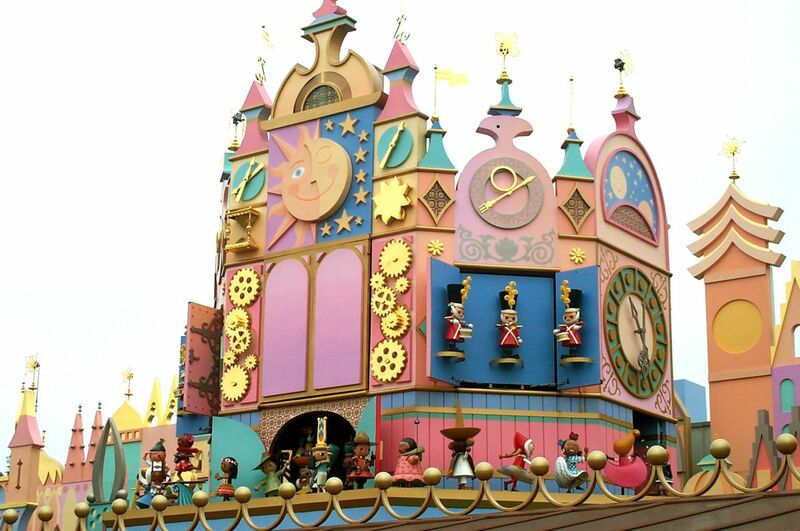 When the World’s Fair concluded, it’s a small world was transported into a new building at Disneyland. With the new facade and outside loading area, a show clock was constructed as part of the entrance facade. Every 15 minutes the clock will showcase dolls coming out of the main tower as they dance to an instrumental version of the song. The time is also displayed with doll soldiers coming out of the doors in the middle. When this show is not going, a tick tock and well known song are playing as guests come aboard the boats. Most of the attraction remained intact with the transport to Disneyland. But, the ride has been changed over the years, some subtle and some big changes made. 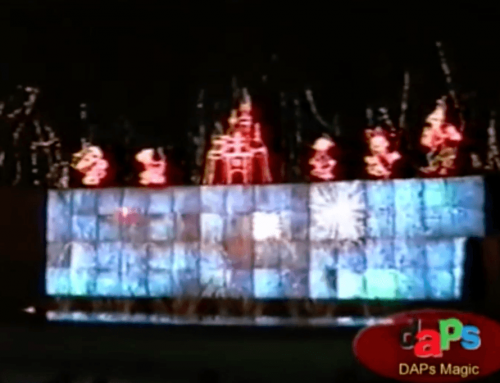 In 1997 a special holiday overlay was introduced. Lights were strung across the facade and the soundtrack made use of Jingle Bells and Deck the Halls as a medley with the main tune. Decorations could be seen throughout the attraction to show how holidays are celebrated around the world. The introduction room was fashioned after the North Pole of Santa Claus fame to show that this was about holidays around the world. The inside has not been the only thing to change. The facade has had a few paint schemes, with the most consistent being a white and gold motif. Pastels have been used before as well. The other controversial element in this change was the New Guinea rain forest room was shrunk and became part of the end of the South Seas room. In its place was a United States room with Woody, Jessie, and Bullseye representing the Disney characters for it. 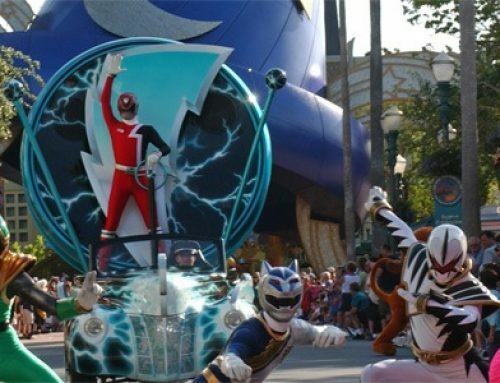 The attraction has proved so popular that incarnations of the ride are in every current Disney resort across the globe. Though they are all very similar there are some differences between them. Magic Kingdom at Walt Disney World was the first to have it’s a small world outside of Disneyland. The biggest difference between the west coast and east coast versions is that the loading is entirely inside. 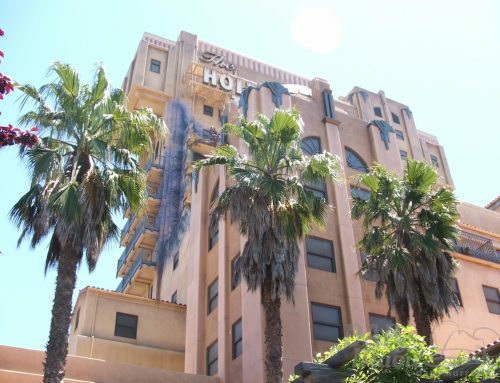 Originally, no facade was made like that of Disneyland. Painted murals were used until 2005 when a facade like the Disneyland counterpart was installed, yet loading has remained inside an enclosed area. The reason is for the inclement weather conditions in Florida. Tokyo Disneyland was the next to receive the attraction, and this time the facade entrance was brought back. However, loading is still located inside with painted murals for it. Different vocals were done in certain locations, such as an all Japanese chorus part for the finale. Disneyland Paris has some of the most varied distinctions to the rest. The facade features much of the same elements of the original, but the clock has a different face representing day and night. Instead of rooms the layout is more in sections. Some elements have a more cartoony look to them rather than the Mary Blair style. The music is more symphonic and spectacular. There is a separate section for North America with Canada and the US represented. A bigger Middle Eastern room has dolls singing in Arabic. The Finale has three languages represented instead of one, and even just English. Hong Kong Disneyland is the most recent incarnation. It was the first to have the Mary Blair style Disney characters which were later brought to Disneyland, though Hong Kong has variations of the characters. Cinderella and Prince Charming are in France. Bambi and Thumper are in the North Pole-ish area. Baloo and Mowgli represent India. Pocahontas and Meeko are located in the North American section. It also has expanded rooms compared to other versions. 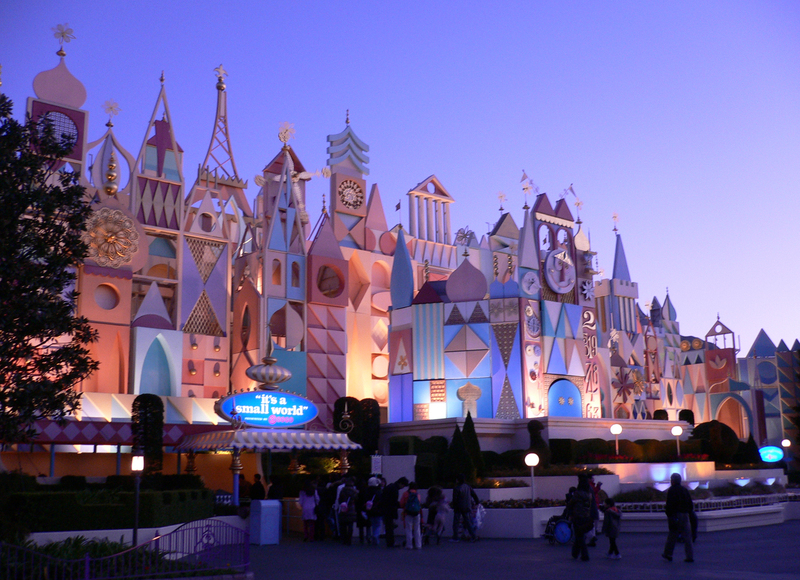 The facade is very similar to Disneyland’s, though pastel in color. The biggest differences for this version is the smaller but more whimsical finale room, and its use of multiple languages throughout. The holiday overlay has been on all the international versions with the exception of Magic Kingdom. Small World has produced a lot of inspired items besides attractions. The most noticeable is merchandise, but even lines of children’s books and dolls have been produced. The attraction celebrated its 50th anniversary in 2014 with a march down Main Street helmed by Richard Sherman. During that time, it was announced that a feature film was being developed. 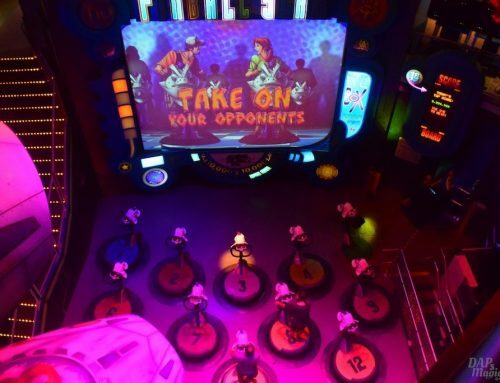 The song and even the ride has been a subject for gags or jokes, especially for the Disney company itself. But, it is still one of the most popular and endearing attractions. It’s message of hope still rings true today. It’s delight still touches families across the world. It’s a lovable attraction that will not be forgotten.